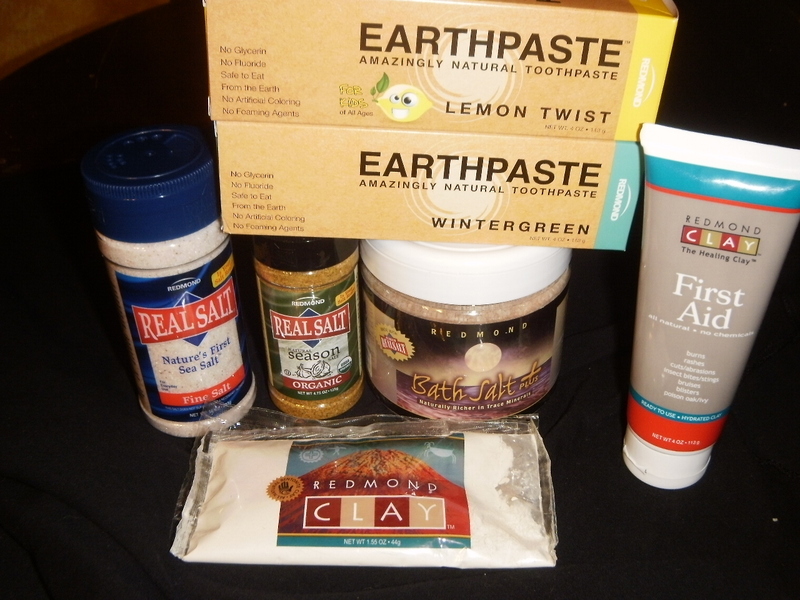 I was sent a 1st aid ointment, some Real Salt & organic season salt, and bath salt. I suffer from a seasonal skin affliction where my hands shed like a snake- usually during the transition from fall to winter, or during the depths of winter. The two winters that I’ve been pregnant (this being one of them), the symptoms have been tame compared to some winters, but I’ve been dealing with this for years. No sooner had I said to my hubby that I thought I was going to get through this winter without it happening, then it started to happen on one hand. It starts as itchy/burny red bumps all over the palm of my hand, and then patches start peeling off & I end up with raw spots on my palm and finger tips. I can’t say I’ve tried everything, but I’ve tried numerous, numerous products- bag balm, crack cream, prescription hydrocortisone cream, hand salves by many companies, and in my recent more natural years, coconut oil, Shea butter, jojoba oil, the list goes on. Nothing really helps but time. I received my lovely sample package from Redmond & there was a 1st aid cream in there- I glanced at it and thought “cool, I’ll keep this on hand in case of a burn…” Then I looked down at my hand which was raw & peeling and thought “what the heck, I’ll try it”. I applied it 3-4 times that day, and I’m not exaggerating in the slightest when I say I woke up the next morning & new skin was growing! I seriously couldn’t believe it, and you have no idea how thrilled I am to have found something that works. Within a couple of days, my hand was completely healed up!! Other products that include this fabulous clay include: Clay powder, facial mud, mineral support & daily detox. I love every, single product I was sent by this generous company, and will be a customer for life!